Ultimate is an elegant one page portfolio template, perfect for designers, photographers, and all kinds of artists. It requires no coding skills as it was made for Adobe Muse software, and it is loaded with many stunning features and smooth on-scroll effects. It is optimized both for tablet and mobile and it looks perfect on Retina and other High-Resolution screens. 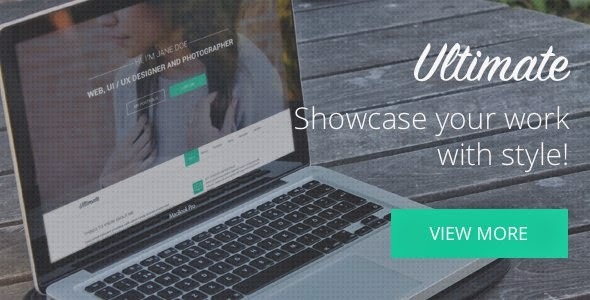 Item Reviewed: Ultimate One Page Muse Portfolio Template 2015 9 out of 10 based on 10 ratings. 9 user reviews.